Look at that picture there. Man, man, man, man, man, man, man,man, man, woman, man, man, man, man. That’s Pacific Rim in a nutshell. in the entire film, I think there are just one or two lines from women other than the main female character, and none of them are important parts. Okay, but at least one of the leads is a woman, right? Yes, well, except she conforms to all the stupid stereotypes that post-feminist action and sci-fi films foist on their female characters.These filmmakers seem to think that to make a “strong” female character, all that you need to do is show that she can fight. Other than that, she can be as vulnerable as their pulsating boy-fantasies desire, and always just a step below Alpha Dude (who we are, right lads? ), who will have to rescue her when she gets out of her depth. Now you listen to me young lady (who is 32), you’re too weak in the head to go fighting like the boys. Pacific Rim makes its lead female character, Mako, conform to these stereotypes in the most predictable and heavy-handed manner. Mako is vulnerable in the extreme, seemingly on the edge of fainting into the arms of her fatherfigure, or manly love interest, at any point. This is meant to be because she was traumatised by Kaiju in her childhood (I would have thought it would be getting difficult to find people that weren’t traumatised by Kaiju at some point in the Pacific Rim universe), from which Stacker ‘the fatherfigure’ Pentacost rescues her. Mako avoids fainting for long enough to be allowed to pilot a Jaeger with our main hero dude Raleigh. Of course, she nearly screws the whole thing because she’s too emotional, as girls tend to be (TWIST: Raleigh is also a little emotional, but he gets a manly grip on himself), and a bunch of guys manage to save the day by pulling out some plugs. I started to wonder, as Mako made it through the climactic fight scene without fainting, crying or screaming, whether she could really make it to the end of the film without being rescued by our real hero. Of course she couldn’t, something oxygen something, oh she faints, oh there we go Raleigh manilly (almost) sacrifices himself to rescue the poor little darling, who really wasn’t up to this manly romp. 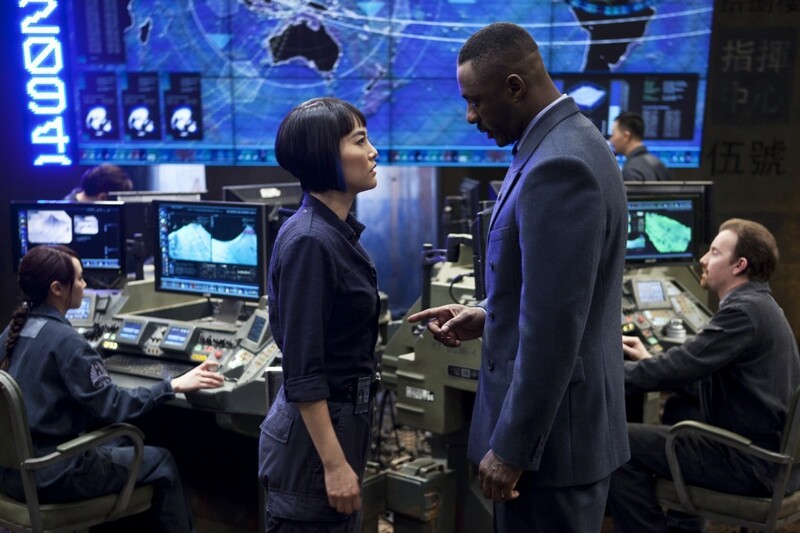 Pacific Rim is sexist and silly, and nerds and geeks everywhere should shun it.